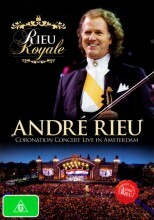 Andre Rieu Royale DVD at DVDLand. The most beautiful day of my musical career and the crowning glory of my work! This is how André Rieu himself describes the concert he gave in Amsterdam with his Johann Strauss Orchestra to close the festivities around a historic event: the investiture of King Willem Alexander and Queen Máxima. In front of an audience of tens of thousands of cheering people, he gave a Coronation Concert on 30 April 2013 on Museum Square in Amsterdam. For anyone who was not able to get to Amsterdam on that day, the live recording of this festive concert offers you the chance of feeling you were there. A unique concert, naturally with the Coronation Waltz that André Rieu wrote especially for the occasion, fabulous images of the new King and Queen, the formal investiture, the lovely young princesses, an emotional musical thank-you to the abdicating Queen Beatrix and an ecstatic audience who by the end no longer knew whether they were singing for the new King or for the king of the waltz. It was one great big Orange party! 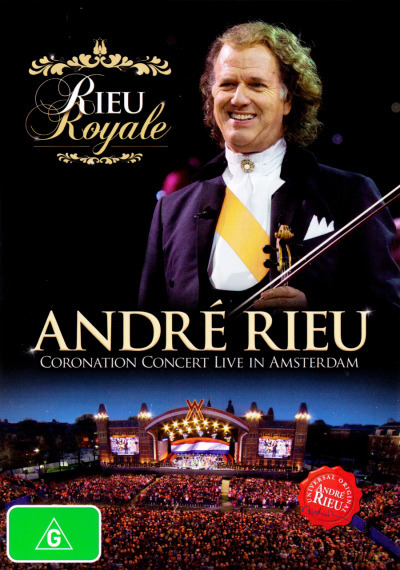 Click the button below to add the ANDRE RIEU - RIEU ROYALE to your wish list.